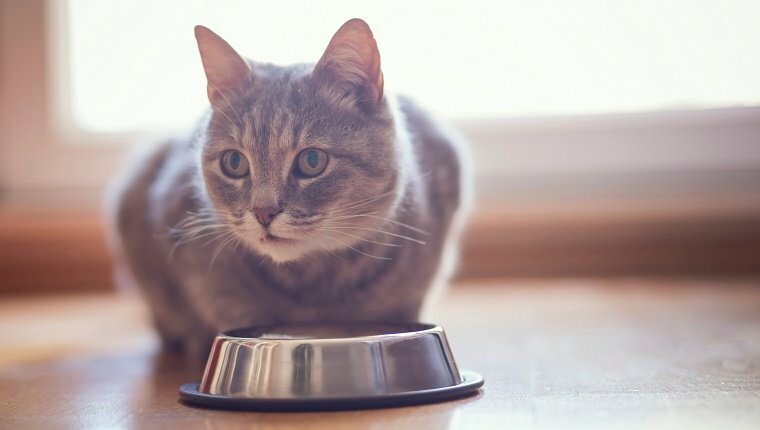 Most cats love food, but for some, eating disorders can cause serious health concerns. While human eating disorders are well known, eating disorders that affect felines aren’t commonly understood by cat owners. These eating habits have a variety of causes and treatments, and you should definitely consult your vet if you see unusual behavior. 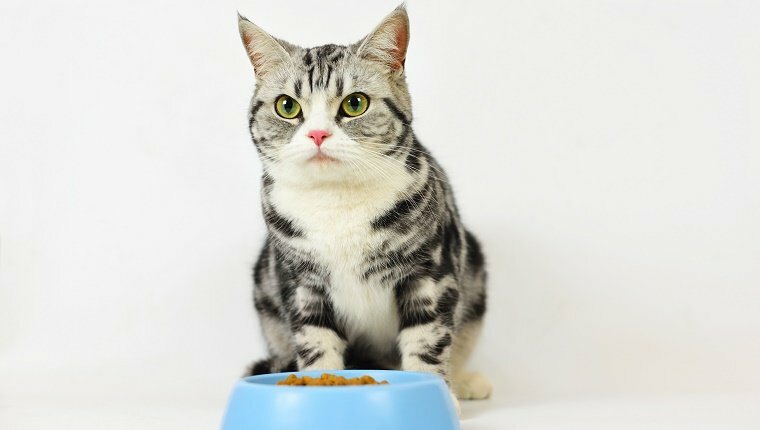 Here are five cat eating disorders that you should know about. Some cats will eat as much food as you give them. To a certain extent, this is normal behavior. Cats are opportunistic eaters in the wild, so many will consume whatever food takes the least effort to get. 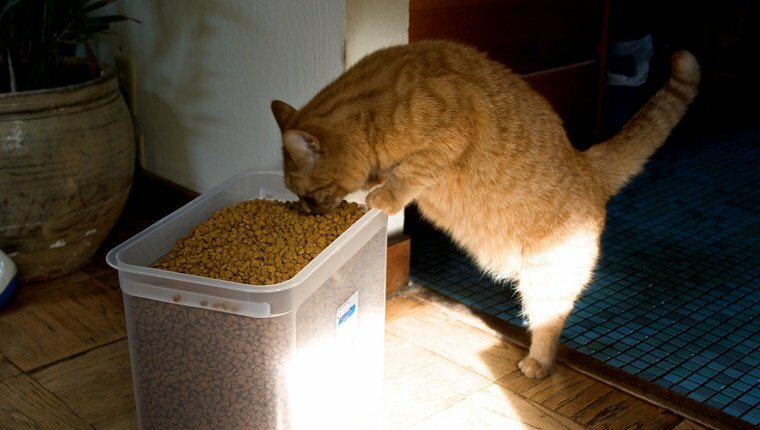 Some cats may feel the need to compete with another pet in the house for resources, so they will eat as much as possible. Often the problem of overeating is more of a problem of overfeeding. If your cat begs for food incessantly throughout the day, it is likely because they know you’re going to feed them. This is a behavior you need to change as the owner. Overeating can lead to obesity and complications like liver disease, diabetes, breathing disorders, pain from physical exertion, gastrointestinal issues, and more. 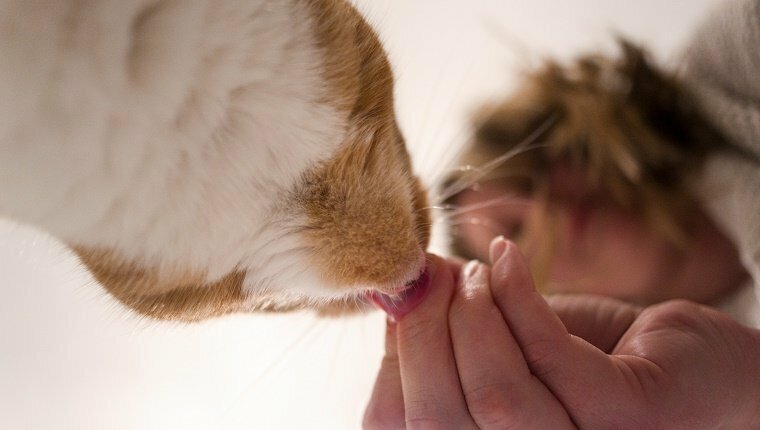 There are other issues that may increase a cat’s appetite and lead to more begging for food or overeating. Some cats get hungrier more often in old age. Medications can increase appetite. Diabetes and insulin related tumors can affect blood sugar and cause hunger. Improper diet or an inability to absorb nutrients due to gastrointestinal disease can also affect appetite. Certain breeds are more likely to overeat, as well. 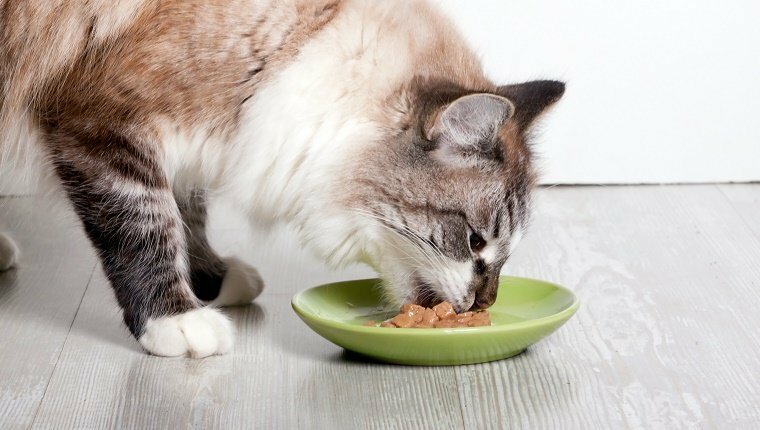 If your cat’s eating behavior is out of the ordinary, you should consult a veterinarian to run tests for medical issues. 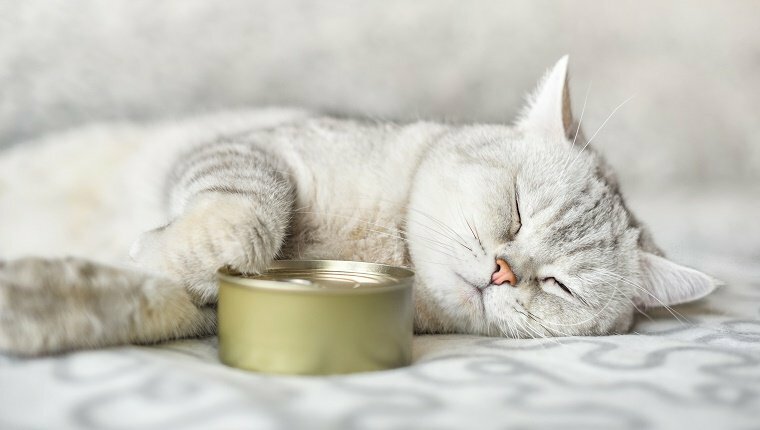 If overeating and begging are prolonged behavioral issues, you may need to consult a professional behaviorist and adjust the way you feed your cat. Eating food too quickly can come with overeating, but it presents its own set of problems. 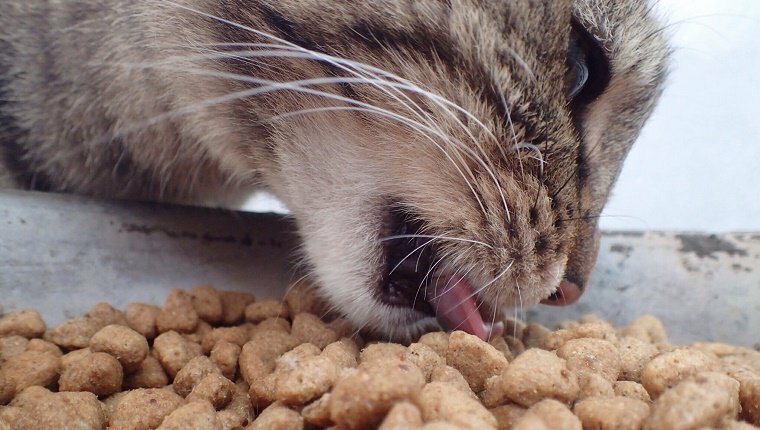 Some cats devour food without enough time to chew or digest. They risk choking or vomiting as they binge their meals in a few gulps. Cats that eat too fast may develop gastritis, an inflammation of the stomach lining. They also may have behavioral problems like extreme food guarding or aggression when another animal or human approaches while they are eating. They may also finish their meal quickly and steal food away from other pets. Like overeating, the reason cats eat too quickly may be out of competition. This can start as early in kittenhood as nursing when kittens sometimes have to compete with siblings for their mother’s milk. Over time, this competitive behavior can get stronger into adulthood. Cats that live as strays for a time may especially feel the need to compete for resources. It’s common with cats that live with other animals, but can be present with cats that live alone, as well. 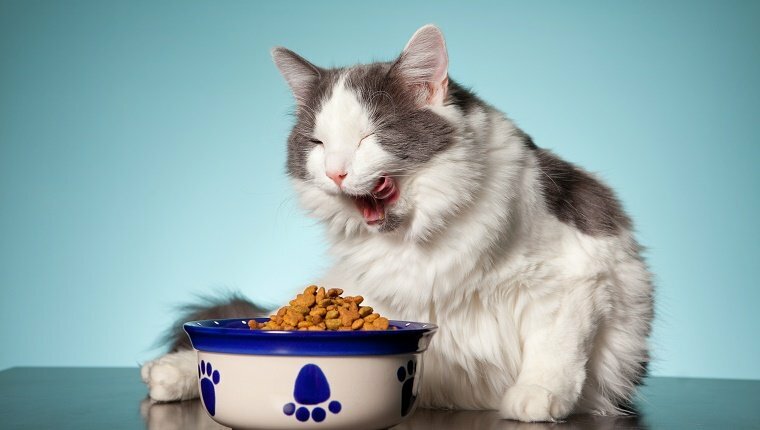 Some ways to curb this behavior include feeding small portions, sometimes individual bites, one at a time so your cat can eat at a slower pace. Providing a comfortable space away from other pets for your cat to eat will also help them feel at ease. There are special feeders and bowls that force cats to work a little harder for food, thus slowing them down. If your cat is displaying signs of aggression, it may be time to consult a behaviorist. Under-eating or anorexia can be a huge problem for cats. Symptoms include weakness, unresponsiveness, weight loss, lethargy, depression, diarrhea, vomiting, and more. Some differentiate between anorexia, which is an extreme loss of appetite, and pseudo-anorexia, which is when a cat wants to eat but can’t due to pain or a medical condition. Identifying the cause of under-eating is important for treatment. A loss of appetite can come from medication, diabetes, kidney disease, pancreatitis, gastrointestinal issues, immune disease, cancer, exposure to toxic substances, stress, or changes in the environment or food among other things. Because the causes of anorexia in cats are so numerous, you need to see a veterinarian for diagnosis and treatment. If the cause of the appetite loss is psychological, it’s a good idea to relieve your cat’s stress and anxiety. Providing physical and mental stimulation will help remove some of the nervous energy your cat may be feeling. If you’ve changed the cat’s environment by moving, provide safe spaces like boxes and perches for your cat to start getting comfortable. 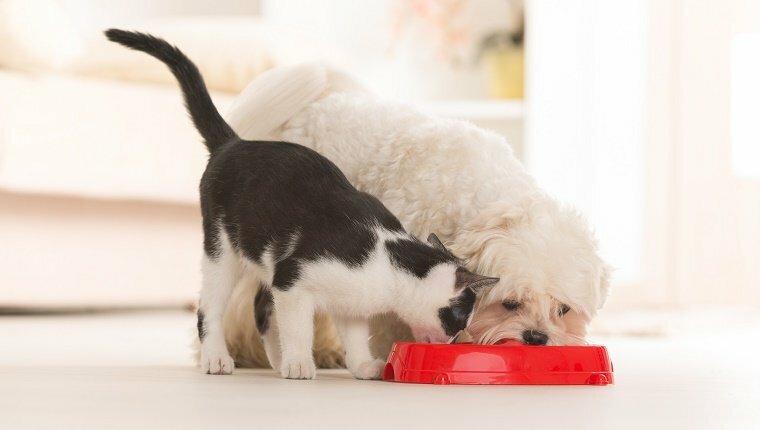 If your cat doesn’t like a new food and is just being picky, try mixing some with the old food so they can get used to it gradually or consult a vet about changing your cat’s diet to a more appropriate or desirable one. Pica is the eating of things that are not food–anything from cotton to plastic to rocks and more. 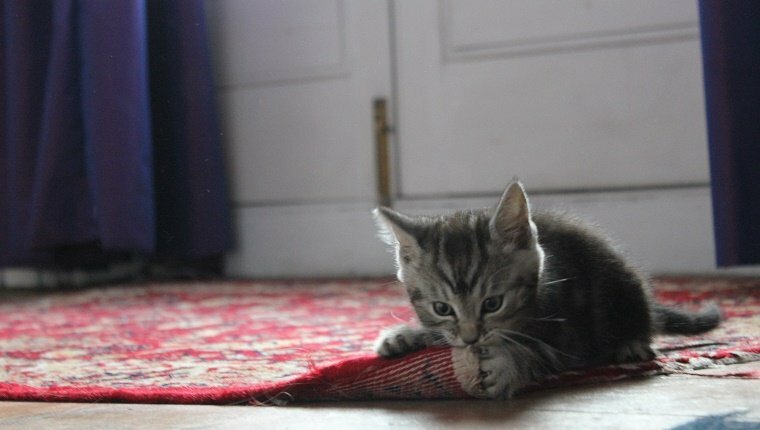 Certain breeds are more prone to developing pica, and some cats that were weaned too early as kittens can develop a habit of sucking on things, which can be a precursor to pica. It can be dangerous and cause gastrointestinal blockages, choking, poisoning, and more. 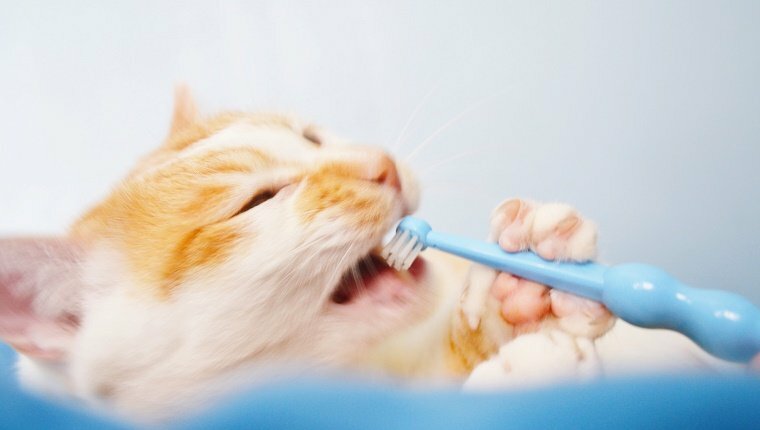 There are several reasons a cat might start eating non-edible objects, including physical and psychological causes. Deficiencies in diet may lead to abnormal eating. 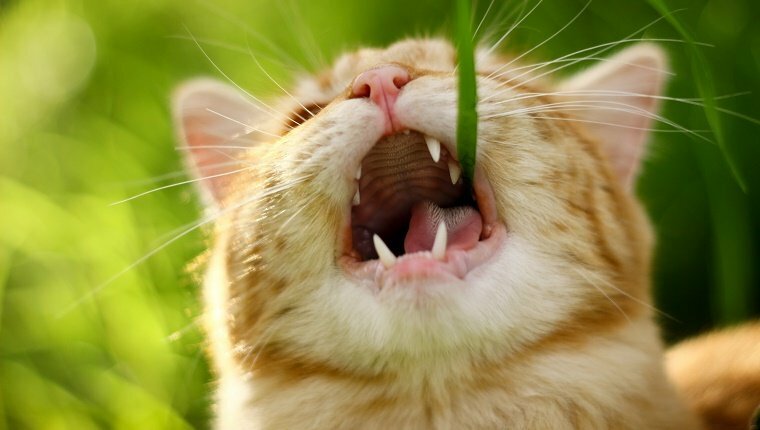 Cats that are anemic may eat their own litter, and some might eat grass or plant matter to make up for lack of nutrients, which can be problematic when plants are toxic or have been treated with toxic substances. Medical issues like Leukemia, FIV, diabetes, or brain tumors can also cause pica. See a vet to rule out these causes. Psychological causes include boredom, stress, attention-seeking, and separation anxiety. Treatment may include dietary adjustments or medication. For psychological causes, mental and physical stimulation, as well as the removal of stressors in the environment, can help cats feel more at ease. Removing the items that the cat likes to chew or eat and replacing it with a safe alternative like a puzzle toy will also help. If the behavior continues, consult a behaviorist. 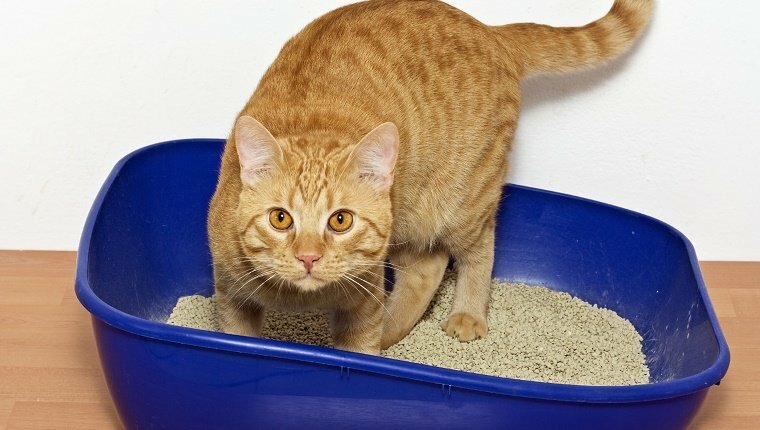 Coprophagia or feces eating is more common in dogs but can also appear in cats. 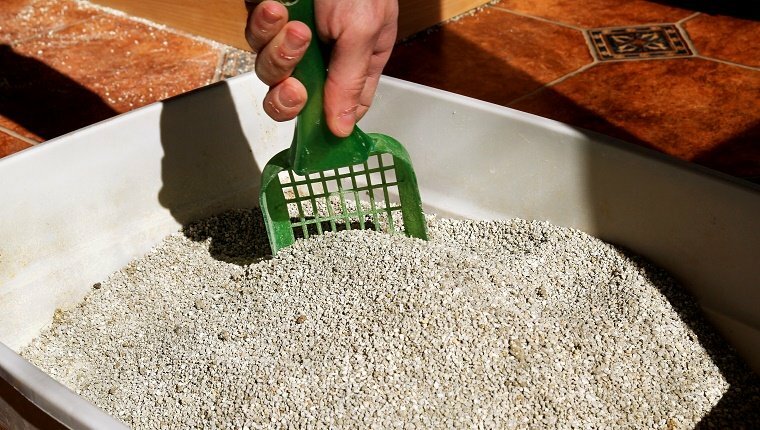 Feces contains bacteria and parasites that can be harmful to cats and carry disease. Sometimes coprophagia is normal behavior. For example, recent mother cats will sometimes eat feces of their kittens as part of normal grooming habits, which their kittens sometimes mimic. Cats may also eat feces to keep their personal space clean. There are certain medical causes that lead to coprophagia, too. Certain parasites and diseases that cause in increase in appetite may cause a cat to eat everything it can, including feces. Diabetes, malnutrition, vitamin deficiency, or thyroid disease can all lead to coprophagia. Neurological diseases that affect brain functions can also lead to coprophagia and other odd behavior. Feces eating can have the same causes as pica, and some might even call it a form of pica. To rule out medical causes, you must see a veterinarian to run tests and find treatment. The psychological causes of feces eating are similar to pica, including attention-seeking, boredom, anxiety, or stress. 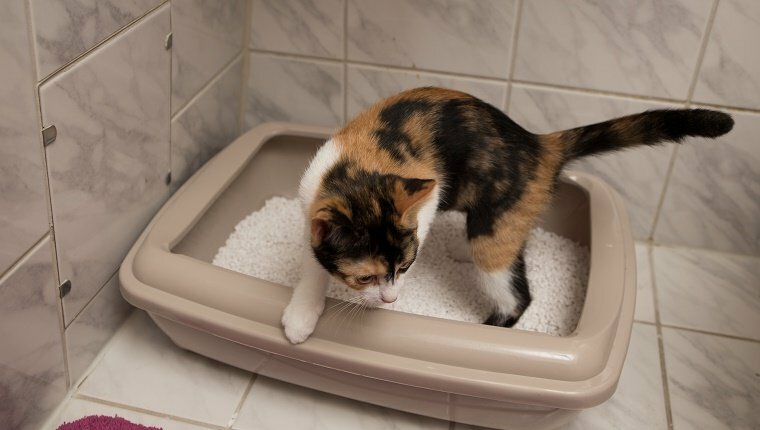 Make sure your cat has a space to go potty, and clean the mess immediately to avoid the feces eating behavior. Cats need mental and physical stimulation along with safe spaces to feel at ease and reduce stress. Cutting back on anxiety will go a long way in treatment, but you may need to consult a behaviorist, as well. Have you ever had a cat with an eating disorder? How did you treat it? Let us know in the comments below.